The health benefits of blueberries include everything from better memory to improved cardiovascular health, and nearly every body part in between. Blueberries are loaded with vitamin C, vitamin B, manganese, dietary fiber, vitamin E, vitamin B, selenium, zinc, and iron, and they're most noted for having the highest number of antioxidants of any fresh fruit. 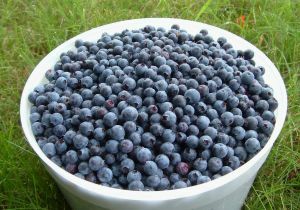 Nutrition fanatics are probably aware that of the high nutrition in blueberries, and that they are a great source of an antioxidant called anthocyanins, which gives foods their purple, blue, or red color. But, they also have numerous other phytonutrients that work as antioxidants and have anti-inflammatory properties. An easy way to think of it is to imagine that antioxidants are the bouncers who kick the free radicals out of your body. Free radicals are unstable molecules can form when something attacks your body, such as a virus, fungus, infection, pesticide contamination, and the many that are linked to diseases like cancer, cardiovascular disease, and Alzheimer's. I know sometimes people read about the health benefits of blueberries and other fruits and think that they'd love to eat two cups of blueberries a day, but that blueberries are just so expensive. 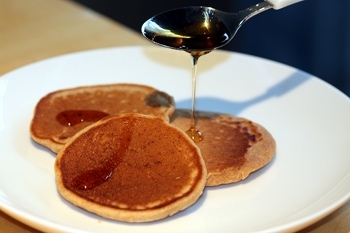 It can be discouraging to think that you can't afford food that is proven to be healthy. I offer two things to think about... If a doctor handed you a pill and said, "This will stop your symptoms and possibly reverse your disease completely. It's going to cost you about $6 a day," would you refuse the pill? I know some people are in a position where they simply couldn't afford that pill, but others would likely jump on the chance to get rid of their health problems. We need to think of fruits and vegetables like those pills. If I had a degenerative disease that I knew could be significantly helped by eating a few cups of blueberries every day, I'd find a way. Secondly, blueberries don't have to be that expensive. Every summer we go pick a LOT of blueberries from an organic you-pick farm. It's a fun summer day trip for us that we convert into a picnic. Blueberries freeze really well, so we're able to stock up on blueberries for the next few months for way less than it would have cost us to buy all those berries by the pint in the grocery store. I highly recommend buying organic blueberries because blueberries are in the Dirty Dozen, the fruits and vegetables most likely to have significant pesticide residue when grown "conventionally." Even if you aren't worried about eating pesticides, insecticides, and fertilizers, studies have shown that non-organically grown blueberries don't have the same antioxidant concentration as organically grown blueberries. You get way more bang for your buck by buying organic blueberries. When you're picking blueberries at the store, make sure the berries are firm and smooth in color, and that they don't look wrinkly or have holes in the surface. They will store in the fridge for a few days, but make sure not to rinse them until you are ready to eat. If you do find one moldy berry, don't despair. You only need to throw out the one rotten berry (and perhaps a few that it touched nearby); no need to toss the whole container. The health benefits of blueberries stay intact when you freeze them, and they won't start losing their anthocyanins for about 3-6 months. 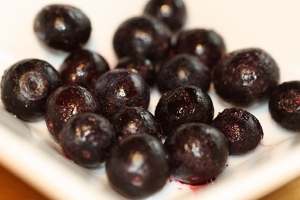 To freeze, put the unwashed blueberries in a large ziploc freezer bag and store in the freezer. They will freeze separately, so you don't need to start by flash freezing as with other fruits. 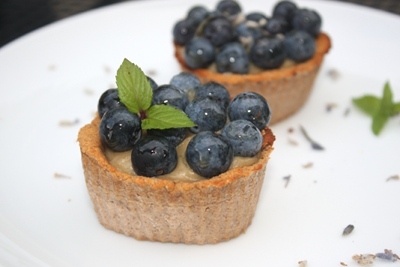 While there are some amazing blueberry recipes that involve cooking the berries, try as hard as you can to find ways to eat them raw. 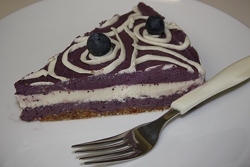 The health benefits of blueberries are the most significant when you eat them raw or frozen.